LOS ANGELES (KABC) -- Lovers of ice cream and Instagram-worthy visuals get one last chance to see the Museum of Ice Cream, which extended its stay in Los Angeles until December. The pop-up museum was originally slated to be open only through May, but it has been so popular that its stay has now been extended five times. Museum creators insist this release will be the final 'scoop' of tickets. All of the rooms in the museum have things you can eat or smell. There's even a room full of bananas which is just a short walk from the swimming pool full of sprinkles. 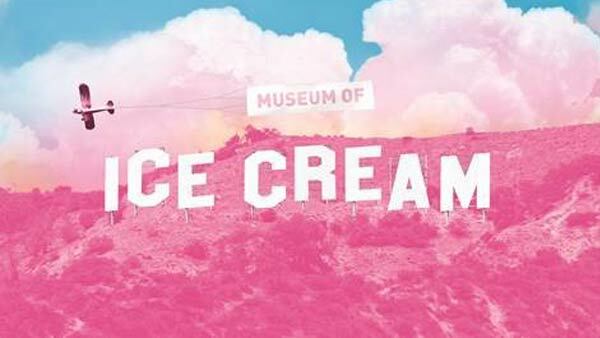 I scream, you scream, we all scream for the Museum of Ice Cream in downtown Los Angeles. "The sprinkle pool is filled with 100 million sprinkles," the museum's creator Maryellis Bunn said. The West Coast Museum of Ice Cream is four times larger than the previous New York City exhibit and features 10 installations. Tickets for the final run go on sale Wednesday at museumoficecream.com. They're $29 for all ages.